Artists in general go through many tough and challenging years, refining and developing their art, making it their own. It should not be treated as 'easy prey' for others to profit from. It should be respected. I am on a journey of continuous discovery. 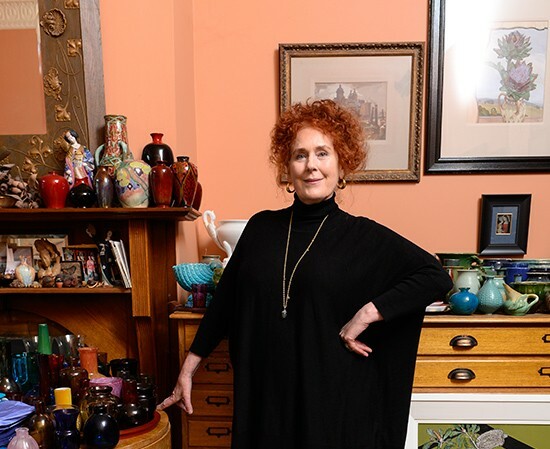 After 51 years of painting, every day still brings new and exciting revelations – the colour, the stillness, working with my props, vases, flowers, fabrics – it is an intimate affair, and creating beauty is still where I am happiest. I refer to myself as a still-life artist. Earlier in my career, I painted portraits and landscapes, but while living and painting in the Greek Islands in 1986, I fell in love with still-life, and it has been my passion ever since. I imagined my career would be that of a classical ballet dancer, something I had done from the age of eight, when I won scholarships and danced at the national theatre for more than 10 years…until I joined painting classes aged 17. After 12 months, I absolutely knew this was what I wanted to do with my life. Artists in general go through many tough and challenging years, refining and developing their art, making it their own. It should not be treated as ‘easy prey’ for others to profit from. It should be respected. Royalties from our copyright gives artists great financial help between exhibition shows and sales, when we may not have an income to live on. Royalties are an acknowledgement of the long road we have traveled to make art.